RULE #1: If your son or daughter doesn't enjoy playing golf they’ll give up the game. Could you play your Best Golf with Clubs that have Shafts that were Too Stiff or Too Flexible? What if your clubs were too heavy to swing? That’s The Frustration Teen Golfers Have With "Kids" Or “Cut Down” Adult Clubs. 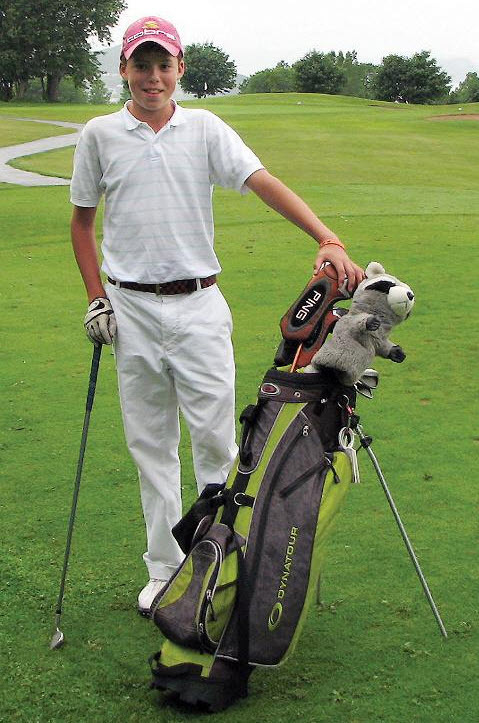 When your Teen Golfer grows to about 4’10” there are no Off-the-Rack golf clubs available to fit their game. “Kids” clubs are inexpensively manufactured with fiberglass shafts that have a Flex that is too weak and include inferior quality Zinc clubheads. Adult clubs are built with shafts that have a Flex that is too strong and swingweight that is too heavy for a teenager. We developed our Teen Club Set with the help of a number of PGA Teaching Professional specializing in Teenage golfers. These clubs are specifically designed to help teenage golfers improve their game by having proper golf equipment that is matched to their physical capabilities. Our Youth Clubs are designed to be the correct length, swingweight and most importantly include clubheads that make it easy for them to get the ball in the air.